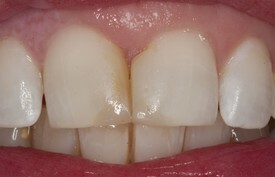 A composite (tooth colored) filling is used to repair a tooth that is affected by decay, cracks, fractures, etc. 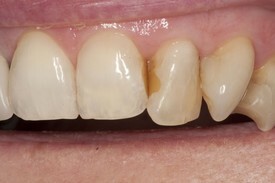 The decayed or affected portion of the tooth will be removed and then filled with a tooth colored composite filling. 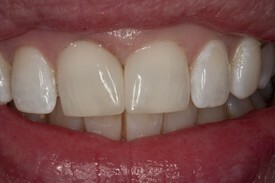 Compositefillings and bonding are are closely matched to the color of existing teeth and can enhance your smile. 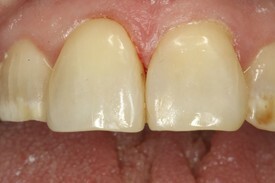 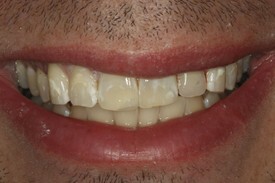 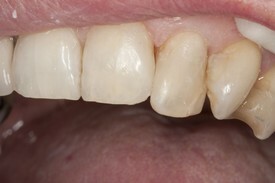 Replacement of old bonding to close space between front teeth. 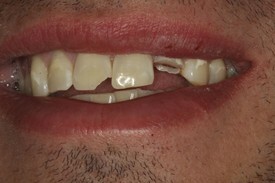 Fractured front teeth conservatively restored with composite bonding. 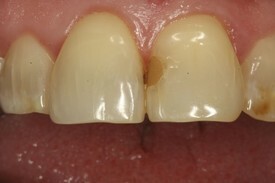 Discolored filling replaced with a new composite filling. 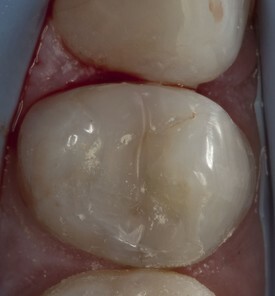 Amalgam restoration replaced with composite resin. 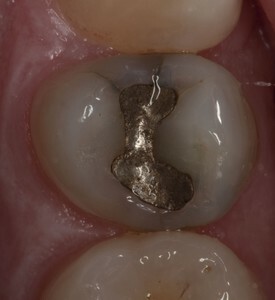 Note fracture lines from around old silver filling.